According to current estimates, kidney stones will develop in one in 10 people during their lifetime. This translates into nearly 30 million people in the United States. The prevalence is highest among those aged 30-45 years. High urinary calcium can be the cause of kidney stones in upwards of 80% of cases. The most prevalent stone composition is calcium oxalate. 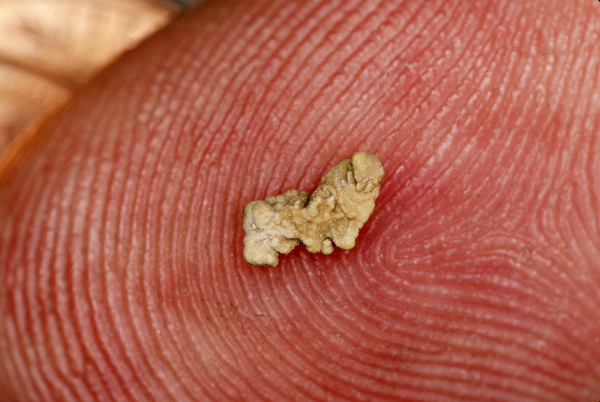 Once kidney stones develop, patients have a 50%-75% likelihood of developing another stone. Clearly, prevention is paramount when dealing with kidney stones. General guidelines for prevention include moderate protein intake, minimal salt ingestion, and drinking enough clear liquids to generate two liters of urine per day. A low oxalate diet has proved beneficial for preventing calcium oxalate stones. Reducing elevated urinary calcium levels helps to improve urinary saturation kinetics. Uric acid stones require dietary manipulation, adequate fluid intake to optimize volumes, and manipulation of urinary pH. Cystine stones, while relatively rare, require their own preventive measures. Which fluid to drink is controversial. While water is the mainstay, a number of articles tout the benefit of different juices. For example, lemon juice increases urinary citrate and may prevent calcium stones. Whether one uses the recommended half cup of lemon juice per day straight up or diluted, is a personal choice. Lemonade is another frequently recommended choice. There are various opinions when it comes to the benefits of orange juice. It, too, increases urinary citrate levels, but there is concern that it could raise oxalate levels. Apple and cranberry juice contain oxalates and have been associated with a higher risk of calcium oxalate stones. Likewise, grapefruit juice has been associated with increased risk of stone formation. Soft drinks, via their phosphorus content, may lead to increased risk for kidney stones.2,3 The choice of fluid depends on other variables in the patient’s urinary chemical composition. What about sugar? Analysis from the Nurses Health Study II has shown that sugar increased kidney stone risk in young women by more than 30%. Whether this was an independent variable was unclear but the message is that high sugar, whether fructose or other sugar, is probably detrimental in the prevention of further kidney stones. And the calcium controversy? Calcium supplements, in excess, will increase your risk for forming kidney stones. Given all of the studies and commentaries, the simple take home message is that a diet containing normal amounts of calcium along with salt and animal protein reduction will likely protect against stones better than a low calcium regimen. It is accepted that a diet too low in calcium intake will allow preferential absorption of oxalate in the gut and increase the risk of calcium oxalate stones. If diet alone is not helpful in correcting an abnormal urinary chemical environment, then medications are sometimes offered. These include thiazide diuretics for high urinary calcium levels, citrate supplementation for low urinary citrate levels, cystine binding drugs (i.e., penicillamine) for cystine stone prevention, as well as new options on the horizon, including oxalate degrading enzymes. But, like most drugs, these options have side effects. Thiazides, for instance, can worsen glucose tolerance, cause electrolyte imbalance, and aggravate triglyceride levels. Besides dietary advice and possible medications, there is a more homeopathic approach that centers on nutraceuticals. Is this fact or fiction? Some may argue fiction, but the literature provides supportive evidence. Citrate itself, while available in capsule form, is readily found in fluids such as lemonade. Although the capsule provides a higher potency of citrate, the use of citrate via fluids is certainly a simplistic yet natural approach. Citrate acts to stabilize crystal formation rate and can be used to adjust urinary pH in the appropriate clinical setting. Magnesium has also been shown to inhibit crystal formation thus reducing the risk for forming kidney stones.6,7 When 24-hour kidney stone risk profiles are performed, magnesium levels are a key indicator as to the potential stability of the urinary environment. While magnesium is available in food, dietary recommendations often conflict because foods that are good sources of magnesium often are high in less desirable constituents, such as oxalate. Thus, the most direct way of increasing urinary magnesium levels is by supplement. Magnesium oxide is frequently recommended at doses of approximately 400 mg per day. The literature also supports the use of vitamin B6 to help reduce urinary oxalate levels.6,7 While quoted to be most helpful in those patients with hereditary oxalate abnormalities, the benefit can also occur in those with more generalized hyperoxaluria. Even though dietary oxalate restriction is the mainstay recommendation for those with high urinary oxalate, pyridoxine can be used as a complementary treatment. Caution should be exercised when taking pyridoxine because very high doses can cause neurologic issues. Generally, a dose of 50mg is used. In my opinion, one of the most overlooked natural preventatives for calcium-based kidney stones is phytate, otherwise known as IP-6 (inositol hexaphosphate).8,9,10 IP-6 has been studied as far back as the 1950’s at Harvard where it was shown to reduce the frequency of calcium based stones.11 IP-6 acts by preventing crystallization of calcium salts whether of the oxalate or phosphate variety.12 Studies have shown reduced crystal formation in rats as well as showing the same in humans.12,13 This is a tremendous alternative to using hydrochlorothiazide in patients with hypercalciuria and is clearly without the potential side effects. So what would be a straight forward routine recommendation to prevent kidney stones for the majority of patients? It would be to limit salt, drink adequate and appropriate fluids, moderate animal protein intake, minimize sugar intake of all forms, ingest adequate amounts of calcium, and strongly consider intake of high fiber plant foods containing phytate. It would also be beneficial to consider taking magnesium oxide, pyridoxine, citrate, and IP-6. Some supplements are available that combine these substances. These include Renalstat (Rematech Nutrahealth), Kidney Support Formula (VRP), and Kidney Stone Formula (Bio Essence). All of this together should help to minimize your patient’s risk of recurrent kidney stones. 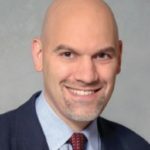 Disclaimer: Mark Finger, MD, is Chief Executive Officer and Chief Medical Officer at Rematech Nutrahealth, makers of the Renalstat formulation. National Kidney and Urologic Diseases Information Clearinghouse. www.kidney.niddk.nih.guv/kudiseases/pubs/stonesadults. Shuster J, Jenkins A, Logan C, et al. Soft drink consumption and urinary stone recurrence: a randomized prevention trial. J Clin Epidemiol. 1992;45:911-916. Curham GC, Willett WC, Rimm EB, et al. Prospective Study of beverage use and the risk of kidney stones. Am J Epidemiol. 1996; 143 240-247. Pak CY, Fuller C, Sakhaee K, et al. Long-term treatment of calcium nephrolithiasis with potassium citrate. J Urol. 1985;134:11-19. Lee YH, Huang WC. The efficacy of potassium citrate based medical prophylaxis for preventing upper urinary tract calculi; a midterm follow up study. J Urol. 1999;161:1453-1457. Gershoff SN, Prien EL. Effect of daily MgOx and vitamin B6 administration to patients with recurring calcium oxalate stones. Am J Clin Nutr. 1967;20(5):393-399. Prien EL, Gershoff SF. Magnesium oxide-pyridoxine therapy for recurrent calcium oxalate calculi. J Urol. 1974; 112:509-512. Ohkawa, T. Rice bran treatment for patients with hypercalciuric stones: experimental and clinical studies. J Urol. 1984;132:1140-1145. Shah PJ, Williams, G, Green NA. Idiopathic hypercalciuria: Its control with unprocessed bran. Br J Urol. 1980;52: 426-429. Ebisuno S, Morimoto S, Yoshida T, et al. Rice bran treatment for calcium stone formers with idiopathic hypercalciuria. Br J Urol. 1986;58:592-595. Hennerman PH, Benedict PH, Forbes AP, Dudley HR. Idiopathic Hypercalciuria. N Engl J Med. 1958;17:802-807. Grases F, Costa-Bauzá A. Phytate (IP-6) is a powerful agent for preventing calcifications in biological fluids: Usefulness in renal lithiasis treatment. Anticancer Res. 1999; 19(5A):3717-22. Curhan GC, Willett WC, Knight EL, Stampfer MJ. Dietary factors and the risk of incident kidney stones in younger women: Nurses’ Health Study II. Arch Intern Med. 2004;164:885-891.